As a rule, any enterprise that offers even a remote possibility of reviving interest in—and by extension, promoting the present-day playing of—songs by annoying ’80s blue-eyes soulsters Hall & Oates is best avoided, if not outright shunned. I’ll make an exception for the cute Goodby, Silverstein & Partners spot below that imagines the derivative duo using Google Docs to collaborate. “Oh oh here she comes, she’s a …” We watch cursors type on screen as these synth-driven Sondheims struggle to finish the thought. Is she a “scary lady,” an “angry tiger” … or a “mangobbler”? Pick mangobbler! C’mon … MANGOBBLER! They inexplicably move on to “maneater,” and an FM crap classic is born. As “Mangobbler,” the song rocks! Way to ruin a great tune, Google. 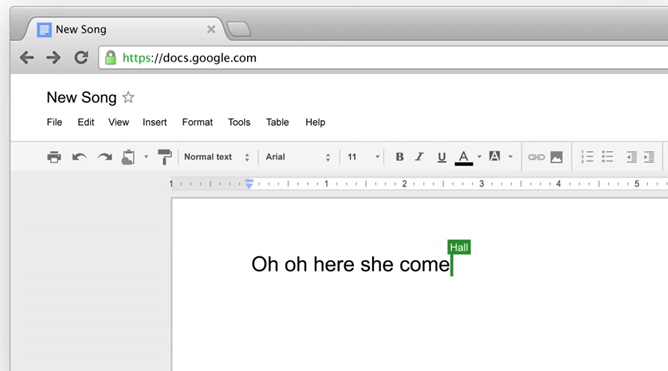 One more new Google Docs spot after the jump.